Rumours of a smaller version of the Varicam 35 had been floating around for some time and when I actually got my hands on one, traumatologist I was super-excited. 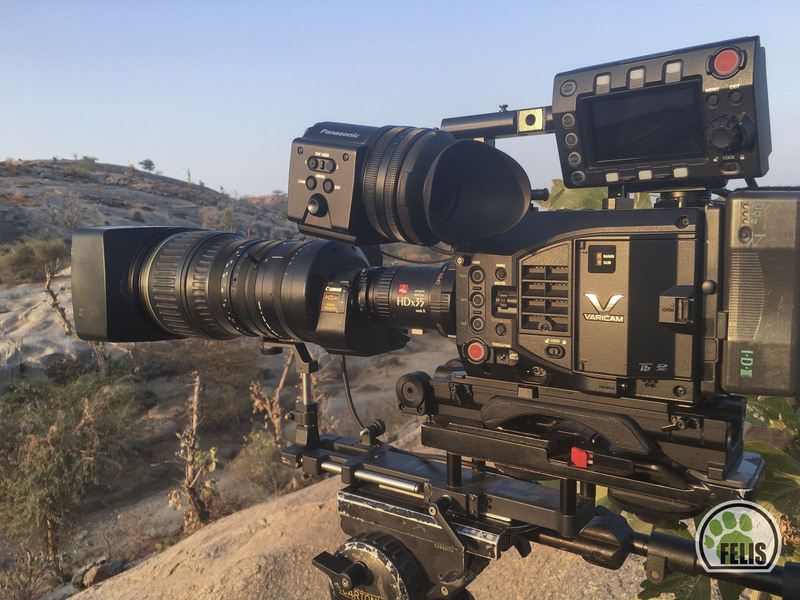 At nearly half the size of the Varicam 35, it has the same 4K sensor with over 14-stop dynamic range and a host of other similar features. All the while being smaller in size & lighter on the wallet. 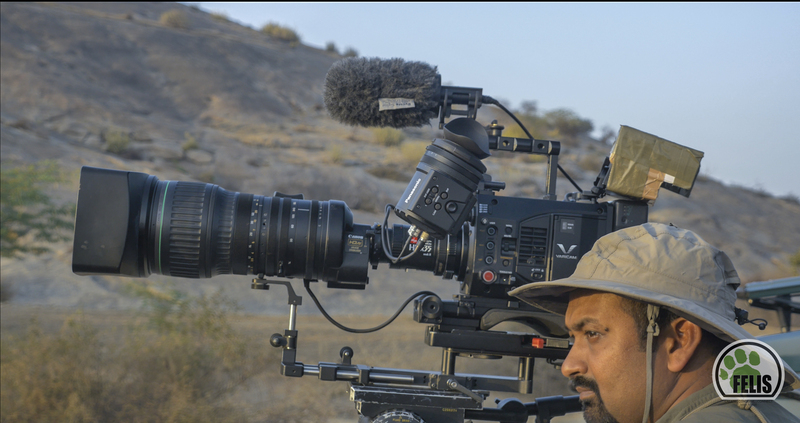 In addition the new Varicam LT has interchangeable EF/PL mounts allowing us to use an incredibly wide array of lenses. 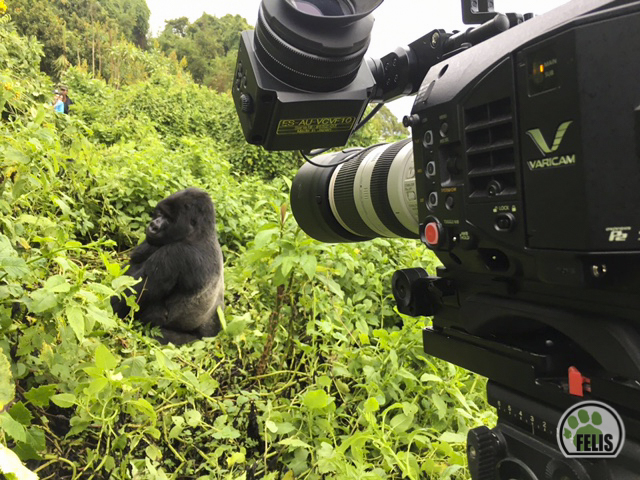 We received two units of the Varicam LT & I took one unit & immediately headed off to film mountain gorillas in Rwanda. The other unit went on a road-trip across the charming Western Ghats of India with Nitye, Robin, Malaika and Aman. 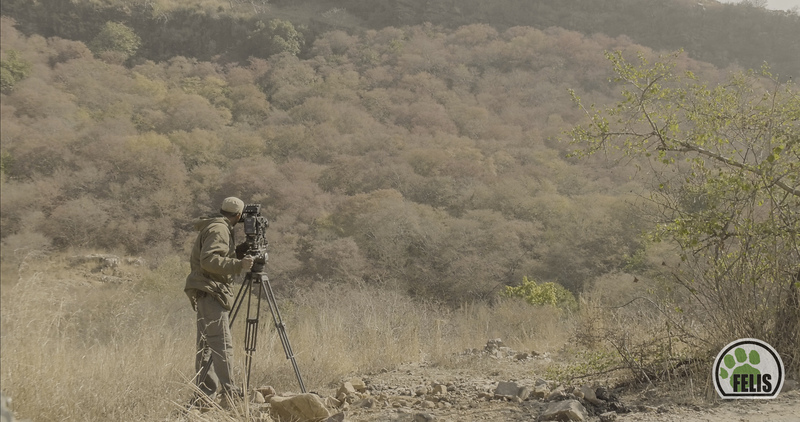 A month before using the Varicam LT, I was out on a shoot filming wild elephants using the Varicam 35 & immediately fell in love with the tonal quality of the image & the ease of use of the camera itself. The menu is not touchscreen but consists of 6 large-sized buttons & a large wheel that help you navigate through the menu even with gloves on, which makes it easy to use even in extreme cold weather conditions! Also Panasonic has created a great simulator for the menu online. Here you can quickly learn how to work the camera before actually laying hands on one. The first thing I did on the LT is to switch from PL to EF mount, as I had only long EF lenses along with me on this trip. 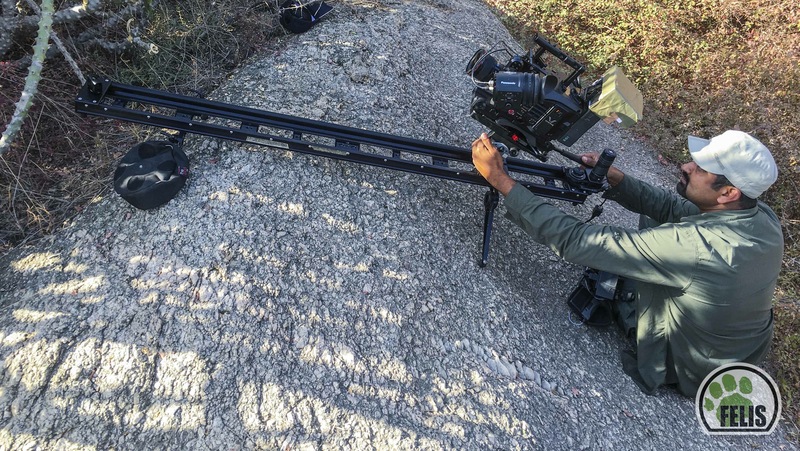 With the Varicam 35, this is definitely NOT an option. You have to only use it with PL mount lenses. So this added flexibility on the new Varicam LT was greatly appreciated! I packed the rig into a Think Tank roller bag that I could easily carry-on with me on the flight. With the over-sized handle, it was a bit of a tight-fit, but let me say that it fit ‘snugly’ (just barely) into the roller bag, but fit it did & off we went to Nairobi and onwards to Rwanda. Panasonic has come up with a new picture profile called V-Look 1 (V 406060), which gives a very good look to the image without requiring any professional colour grading and yet retains detail in the highlights and shadows. Initially we were asked to shoot primarily on this setting to test it out. Here are my initial thoughts on this picture profile – V-Look 1 did a great job exposing for blacks, especially with the deep blacks on the gorillas. I was pleasantly surprised to retain detail in the dark shadow areas. It certainly kept the details and didn’t crush out the blacks, although I did shoot a touch over-exposed to not crush the blacks and to make it possible to bring down the highlights in the final grade. I was happy with the final results as seen in the short video. Very minimal grading has been done to the final image where they appeared to be too much. Interestingly, the way the Varicam LT handles highlights is really beautiful, more film-like than video-like. 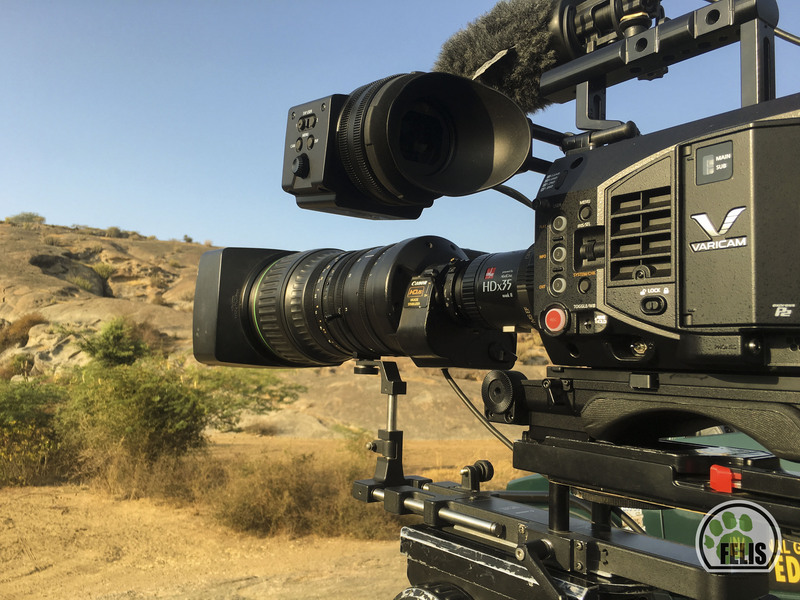 With Sony cameras the highlight roll-off is very stark and distinct, whereas in the Panasonic Varicam, the roll-off is gentle & much more film-like. 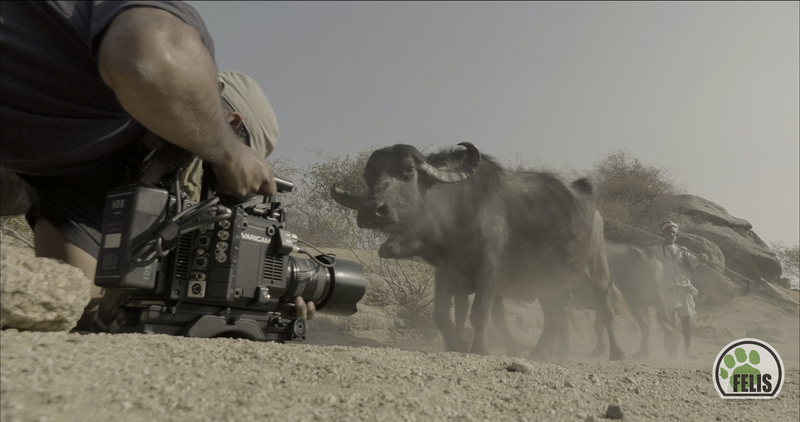 “AFRICA” The Sample Footage of Panasonic’s New Cinema VariCam LT from Cinema VariCam™ on Vimeo. What I didn’t like so much about the V-Look 1 profile was that the image seemed almost overly saturated, almost like Cinelike-V on the Lumix GH4. It’s great when you don’t have time to do much in post! But to me, the image appeared a little too saturated. The greens looked a little too vivid. On the other hand, skin tones including browns, whites etc. looked perfect! So its really going to come down to a personal choice about what you plan to shoot & how much time you have for grading that will determine whether the picture profile is to be used or not. 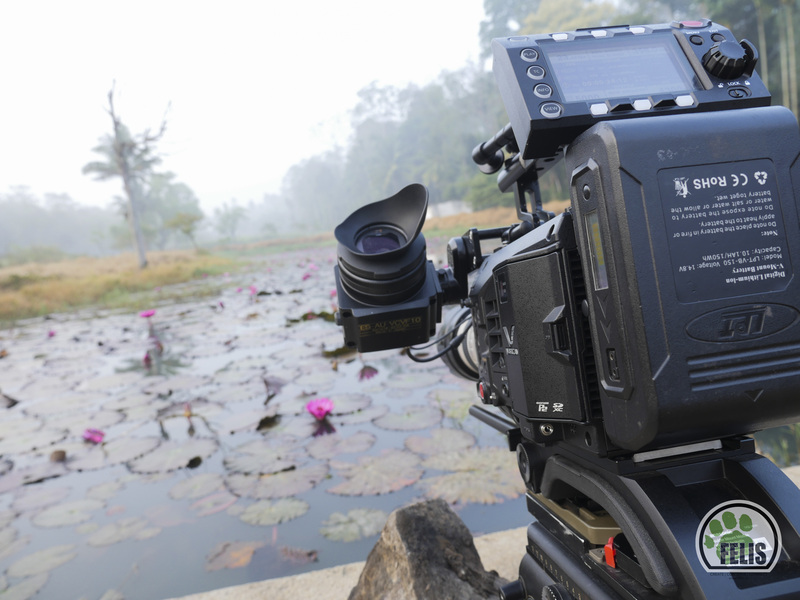 When it comes to size, the Varicam LT is certainly a lot more compact than the Varicam 35. It’s a compressed version of the same robustly built camera. It does not come in two separate modules, but its fused into one module a little taller but much shorter than its predecessor. It uses the same V-lock shoulder plate mount (AU-VSHL1G) which is great, as some of the camera base plates that I used to use nearly twenty years ago are coming in handy to mount this camera onto a tripod. The camera fit neatly, but fully into a Think Tank roller bag & also into a Lowepro Hiker bag which was good for lugging it up the steep slopes of the mountainous terrain, which is home to the mountain gorilla! The compact, but robust build of the camera provides you with a certain sense of confidence that it can take a good round of abuse, not that we tried doing that, but you can feel that it’s a camera that’s in it for the long haul in rough places. On the flip side, it’s not lightweight by any means. It’s small & compact size, with a battery comes in around 4 kilos, with say a 24-70mm Canon EF lens. 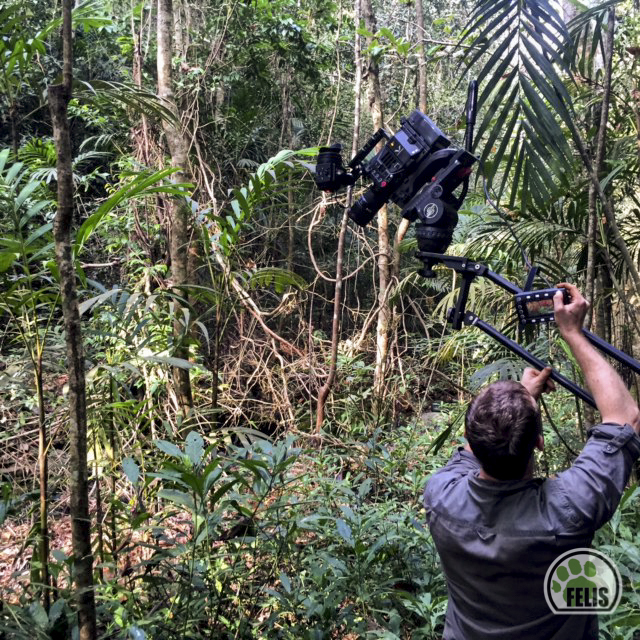 Not quite small and compact enough to fit on to a drone or onto a Ronin-M. You will need a full-sized Movi or Ronin to glide this mini-beast around! The monitor placement in the back is good if there’s a director following along watching the action, although it’s not quite big enough. But it works better, I feel, mounted to the top handle via an extension arm. This helps the cameraman take his eye off the viewfinder and still see what’s going on. The top handle itself needs a little re-engineering which I’m sure Wooden Camera or some one else will create to be able to keep the monitor mounted in the back and make it fully collapsible which would be great as removing it every time is a bit of a pain. 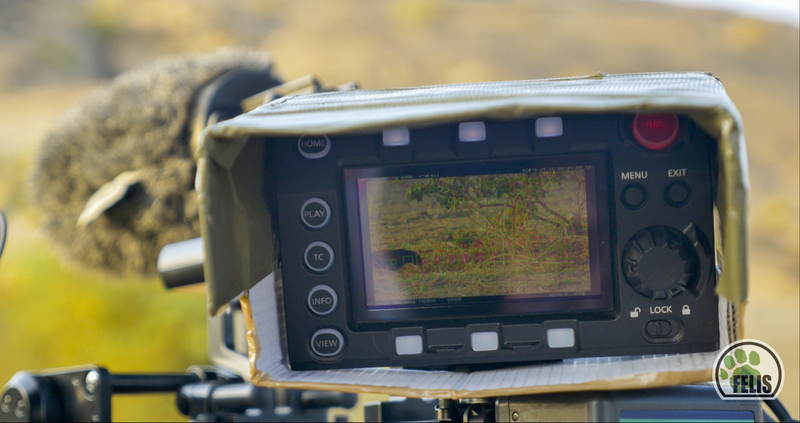 Another requirement is to have a small monitor hood like this little contraption we created in the field. 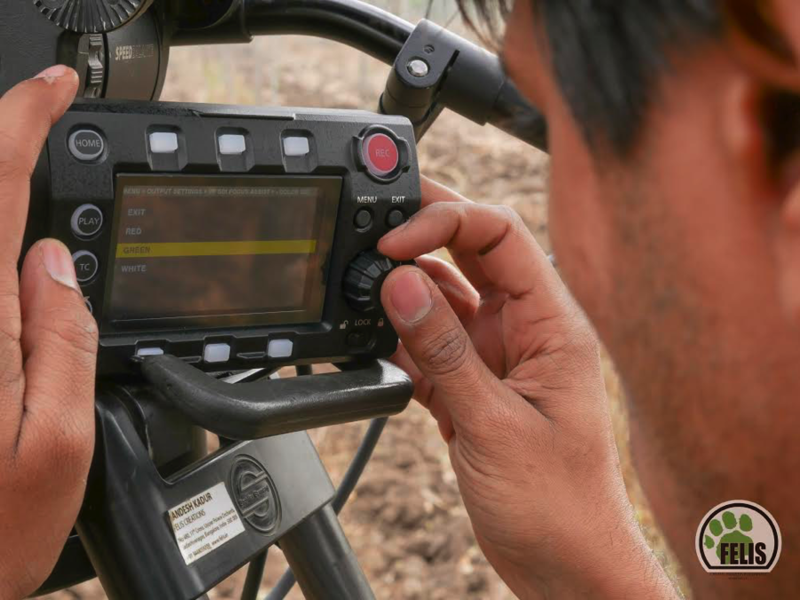 This is an absolute must for working with the viewfinder in the field, especially in daylight hours. One of the biggest plus points on this camera is its usability in fairly low-light conditions. Here’s a short video all shot as a test inside a club under fairly low-light conditions and the camera handled colors, skin-tones and different types of light incredibly well. 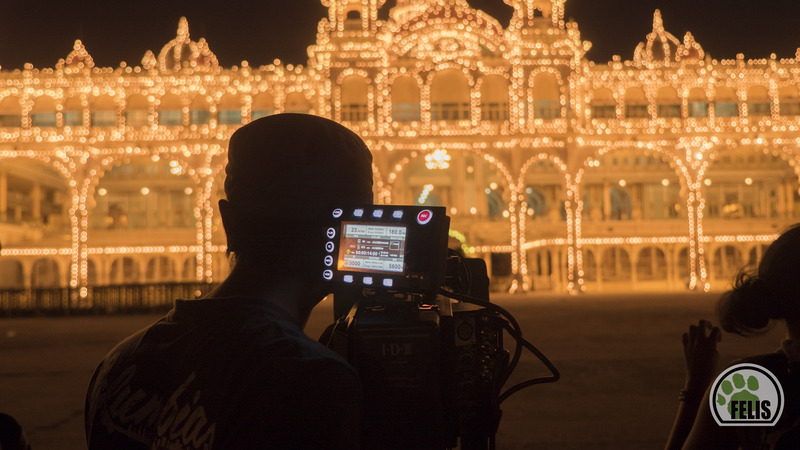 The secret to why the Varicam LT and the Varicam 35 do so well in low light is because of two complete different circuits allowing the user to change from a base ISO of 800 to a base ISO of 5000. 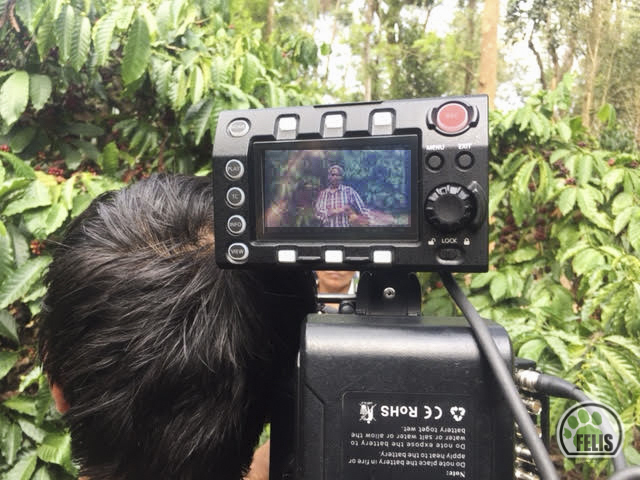 Just the fact that there are two native ISO’s built into the camera means that you can get the best signal to noise ratio allowing one to film at 5000 Base when light conditions or the use of external lights are limited. Even the noise that does creep in is so organic and film-like that it looks very natural. When unacceptable in certain cases, especially under the forest canopy and with a lot of dark areas, using Neat Video can almost eliminate the noise. We are still to do some full tests on the footage shot so far, but in the video below you can see the results of a quick low-light test. Apart from the robustness & versatility of the camera I loved the fact that you can interchange between EF & PL mounts. 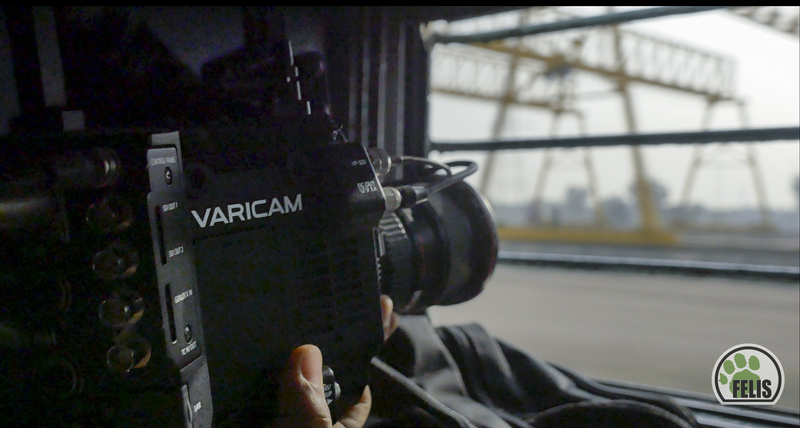 Ease of changing frame-rates & codecs, but that’s the least you can expect from the Varicam line-up. I too was left wishing for 4K at 120FPS, but I doubt that will be possible. But to have internal 4K at 60FPS is already very useful which is more than sufficient for most purposes. Built in ND filter wheel. The shoulder-mount and the tried & tested secure V-lock tripod plate. V-log of course, but the multiple picture profiles that can be set up look pretty useful, although I never had enough time to try them out. 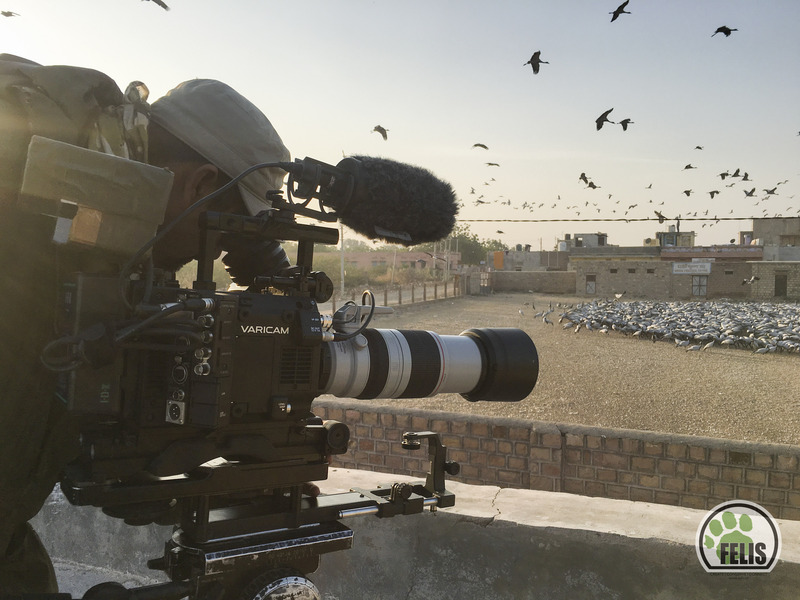 Pre-record – big plus for wildlife documentaries where there are no second takes. Two base ISO’s 800 & 5000 – to help get you out of low-light situations. 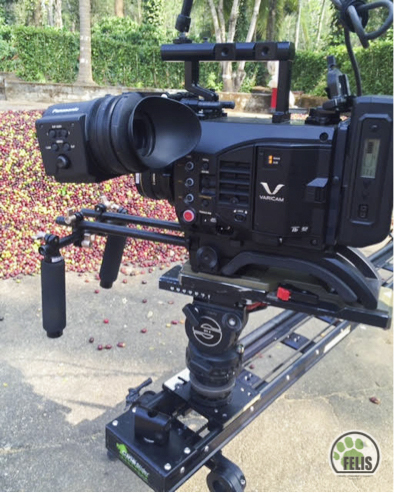 A special thanks to all the incredible folks at Panasonic for giving us this opportunity to try out the Varicam LT!